Dubai’s obsession with gold is a well known fact all over the world. This Emirati city has gone not one but a few extra miles when it comes to showing its love for gold. It has a plethora of food items one of whose ingredients is gold. 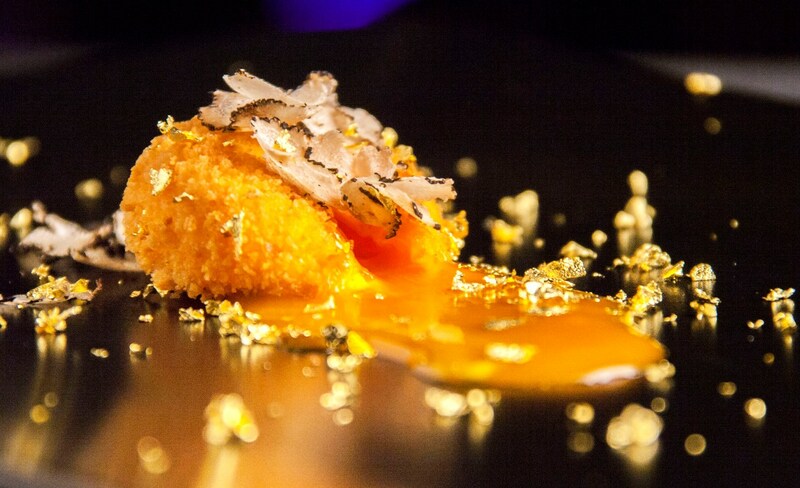 Read on to find out about the edible affair of Dubai with gold. You can get this luxurious coffee in Armani Hotel which is located in the pride of Dubaui, Burj Khalifa. 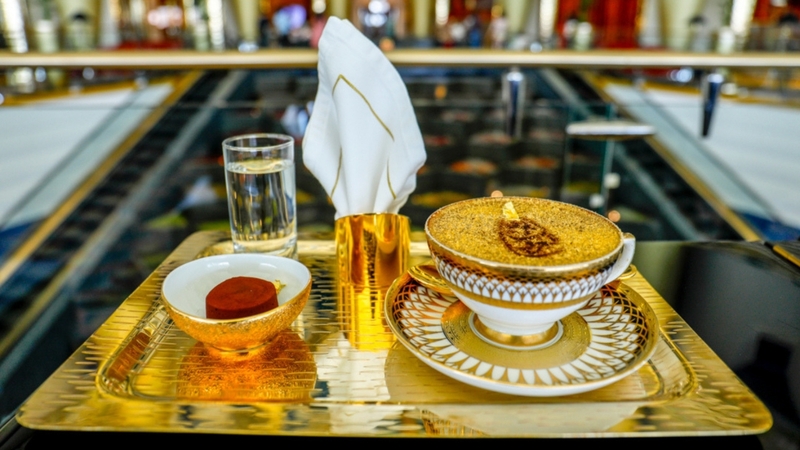 A cup of cappuccino costs $20 with toppings of leaves of 23-karat gold. 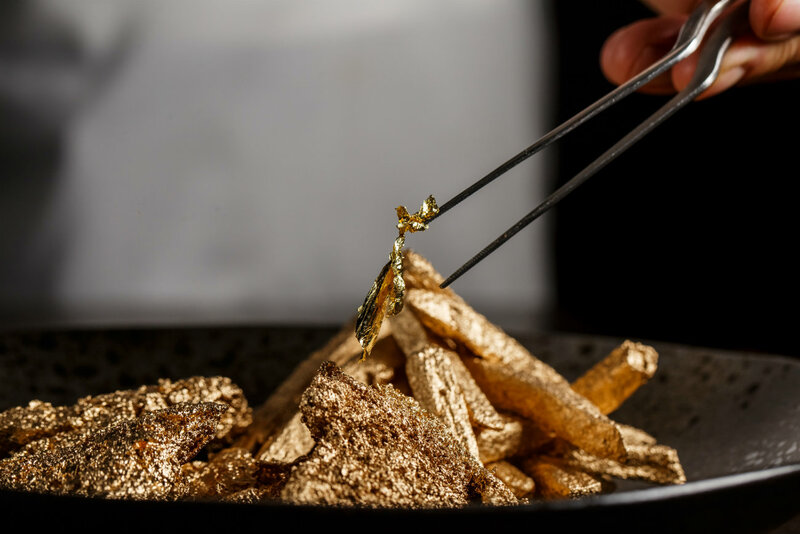 Fuel your love for chicken nuggets and French fires at the Trophy Room in Fairmont Dubai. If you order “Go for Gold Package”, you will get your chicken and fries covered exclusively in 30 grams gold dust. 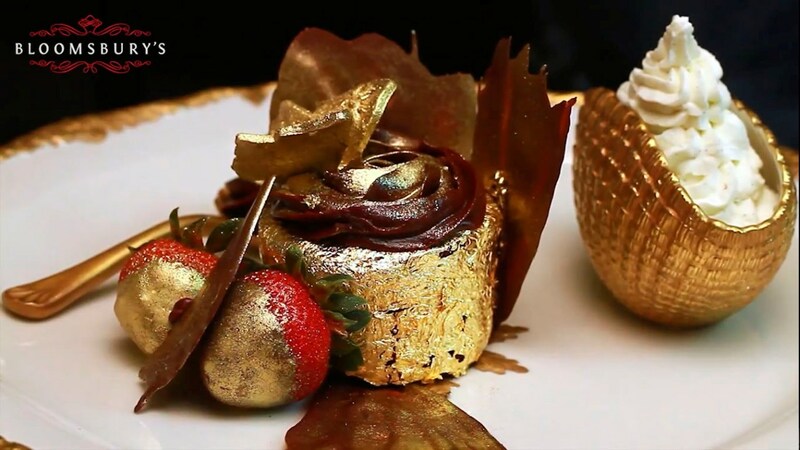 Golden Phoenix cupcake is served at Bloomsbury’s in Dubai Mall. This edible luxury costs $1,000. Have the Black Diamond ice cream at Scoopi Café. 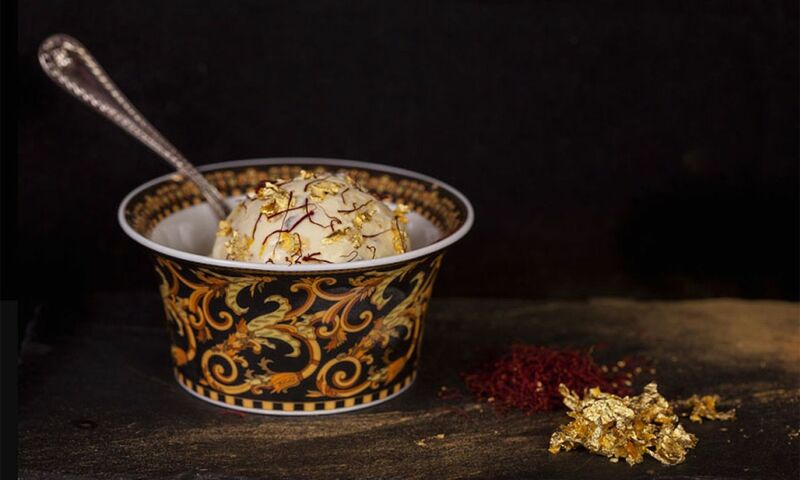 It is prepared with vanilla bean ice cream that is imported from Madagascar, saffron imported from Iran, black truffles imported from Italy, and 23-karat of gold flakes as well as gold powder. 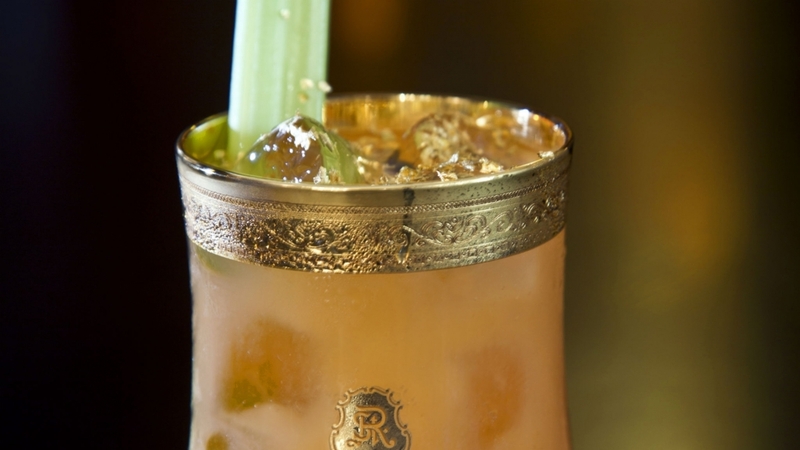 To taste a different version of Bloody Mary Cocktail head to Habtoor Palace in Dubai for their signature Golden Mary cocktail. Dates, red pepper flakes, lemon juice, yellow tomato juice, and rose-infused vodka seasoned with golden leaf accents are what make this drink so special.